At November’s Global Marketplace Leaders’ Summit in Washington, D.C., spiritual and marketplace leaders discussed their roles in motivating their communities to fight poverty and homelessness, while fostering adoption, literacy, job creation, and spiritual health across all segments of their cities. 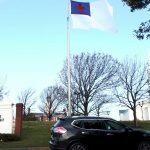 A major topic was the success of the inaugural Movement Day Charlotte (which achieved a synergistic balance of spiritual, non-profit and marketplace representatives) and other recent expressions. Leaders participating in the conference included Marydel Harris, Bob and Leslie Doll, (all Accelerate Campaign Co-Chairs); Dr. Nicole Martin (American Bible Society); Rob Kelly (For Charlotte); Casey Crawford (Founder of Movement Mortgage); Steve and Mart Green (Hobby Lobby), and Eric Metaxas (author, speaker and TV host). Held in Washington, D.C., November’s 100 Cities Summit proved to be a historic gathering of urban leaders from around the globe, all of whom were seeking to collaboratively tackle the daunting issues we all face in our cities. Facilitated by MOVEMENT.ORG, the summit aimed to catalyze leadership teams to impact the spiritual and social climate of their cities through learning communities, the sharing of best practices and the advancement of high-level, city-changing collaborative partnerships. Multiplying Churches (increasing access to the gospel). A long-term goal has been to both unite existing churches, which often exist in spiritual silos, and grow the number of new churches in both cities and isolated rural areas. Engaging Millennial Leaders, a key initiative which also includes identifying and cultivating the leaders to tomorrow. Ministering to people on the Margins (the poor, refugees, the disenfranchised), a vital issue across all continents and cultures. While marketplace leaders are essential to achieving the summit’s goals, speakers emphasized that the goal is a global spiritual transformation. “This is a movement; this is not an organization,” said Bob Doll, Chief Equity Strategist, Nuveen Asset Management. On November 26, 2018, Movement Day Expressions’ executive directors from all continents gathered in Washington, D.C. for team building, collaboration, learning best practices, prayer and strategic planning to accelerate the launch of city gospel movements over the next five, 10 and 20 years. Despite vast geographic and cultural distances, leaders discovered many urban commonalities, including poverty, crime, declining education and spiritual deterioration. The gathering culminated in a powerful prayer for unity, revitalization and redemption of cities around the world. 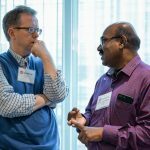 Transformative conversations focused on questions such as how can we pray and become strategically coordinate to see spiritual, cultural and social kingdom transformation? And how can we effectively lead gospel movements in our cities? Watch this short video to hear words of inspiration from other global leaders, including Koketso Molaolwe (Pretoria, South Africa), Joakim Magnus (Oslo, Norway), Sanjai Kandregula (Auckland, New Zealand) and Lynn Kotecki (Holland, Michigan).